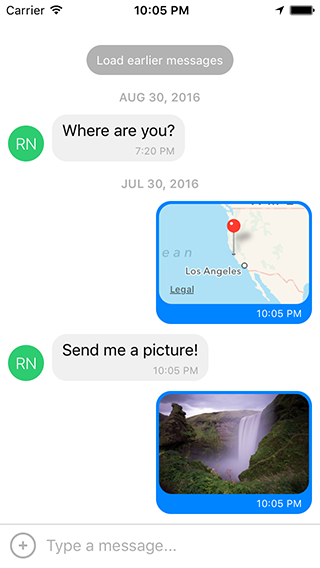 Want to be notified of new releases in luminos-software/react-native-gifted-chat? Pull request Compare This branch is 1 commit ahead, 254 commits behind FaridSafi:master. See example/App.js for a working demo! The messages prop should work out-of-the-box with Redux. In most cases this is all you need. If you are using Create React Native App / Expo, no Android specific installation steps are required -- you can skip this section. Otherwise we recommend modifying your project configuration as follows. 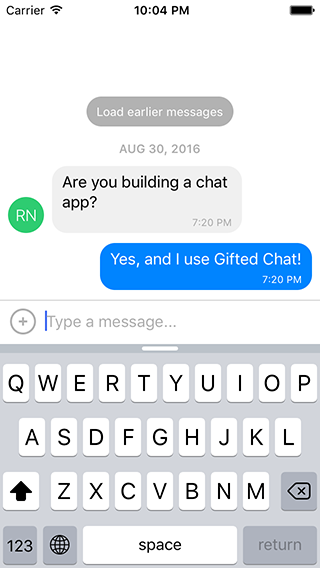 If you plan to use GiftedChat inside a Modal, see #200. Note that it's important for wml start to come after npm start, or you'll get Can't find entry file index.js errors. If you have any issues, you can clear your watches using watchman watch-del-all and try again. Feel free to ask me questions on Twitter @FaridSafi!